Thank you for visiting 'DallasBugDoctor.com! For over 25 years we have been providing dependable, efficient and honest service you can count on. Buying a home or business may be the biggest investment you'll ever make. Protecting it from pests that can damage it or carry and spread diseases is the first step in guarding that investment. Pest management helps preserve the value of your home or business as well as the health of your family, pets, and employees. 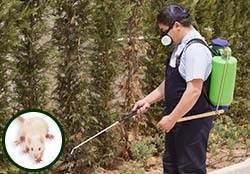 C & S Pest Control has been helping Dallas, Texas, area residents with all of their pest control needs for over 25 years. 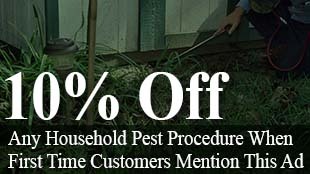 Whether you are facing insects, spiders, or rodents, we take care of your problems safely and efficiently. Our general pest jobs include not only the inside of your premises, but also the garage and the full outside perimeter. Effective pest management, whether residential or commercial, includes defining the factors that limit the reproduction and survival potential of each pest. For instance, removing the food, water, and shelter of pests has a significant impact on controlling pest populations. When coupled with appropriate chemical control measures, a longer lasting, more significant impact is made. When it comes to protecting your home or office, rely on us for a safe, effective, and professional job. 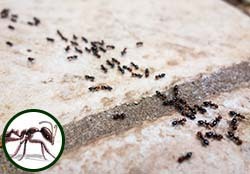 Carpenter ant colonies can be hard to find, but once we do, your problem will soon be terminated. We get rid of pests like wasps, roaches, and rodents just as effectively as we do termites and ants. With over 25 years of termite and pest control experience, C & S Pest Control has made it a priority to ensure complete customer satisfaction. We work to fit your schedule and don't try to upsell. You can always count on us for honest evaluations and reliable, effective treatment solutions at a fair price. 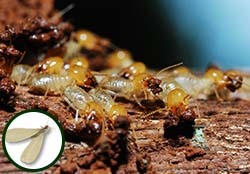 We offer termite pre-treatments, mosquito systems, and all termite and pest control treatments. 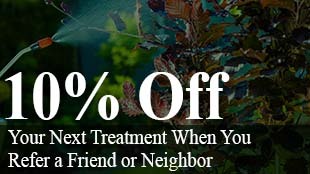 Opt for one-time, quarterly, or biannual treatment; whatever fits your specific need. Since 1979, we have been servicing the entire Dallas metro area and welcome owners, inspectors, and builders. Our top priority is to provide you a full service company that protects business, home, family, and pets.